R is the lingua franca for statistics. It is an open source programming language, free to access and pen to all to perform data analysis tasks. It is supported by the R Foundation for basically Statistical Computing. The R language is widely used among data miners for developing statistical software and data analysis. The source code for the R software environment is written primarily in C, FORTRAN, and R. Language R is freely available under the GNU General Public License and is pre-compiled binary versions that are provided for various operating systems. While R has a command line interface, there are several graphical front-ends also available. The SAS language is a programming language used for statistical analysis, originated by the project at the North Carolina State University. It can input data from common spreadsheets and several databases and output the results of statistical analysis in form of tables, graphs, and as RTF, HTML, and PDF documents. SAS is a commercial purpose software. It is expensive and still beyond the reach for most of the professionals. So, until and unless you are in an Organization which has in past invested in SAS, it might get difficult to access one. The usage of R has been growing both in academics and corporations, few large corporations insist on using SAS, but SMEs and start-ups are increasingly opting for R, given that it’s free. 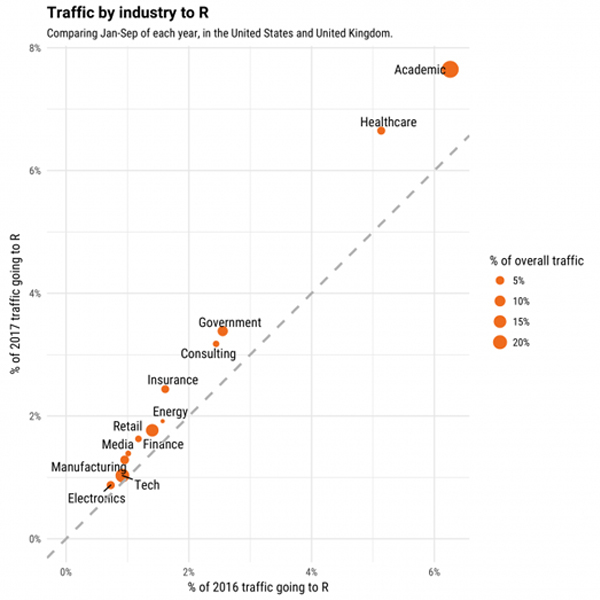 The current job trend seems to show that while SAS is losing its momentum, R is gaining potential. Since R is on an uphill path, it can probably witness more jobs in the future, albeit also in huge corporates. Facebook – For behaviour analysis related to status updates and profile pictures. Google – For advertising effectiveness and economic forecasting. Microsoft – Acquired Revolution R Company and use it for a variety of purposes. Airbnb – Scale data science. Several people say they aren’t willing to accept results from R because you don’t have a for-profit company vetting the code to ensure it gives correct results before it goes out to customers, lest they end up losing business. Actually, it’s a bit of a mindset shift; typically the most widely used and well-established packages have had so many people testing and using them, this isn’t an issue. 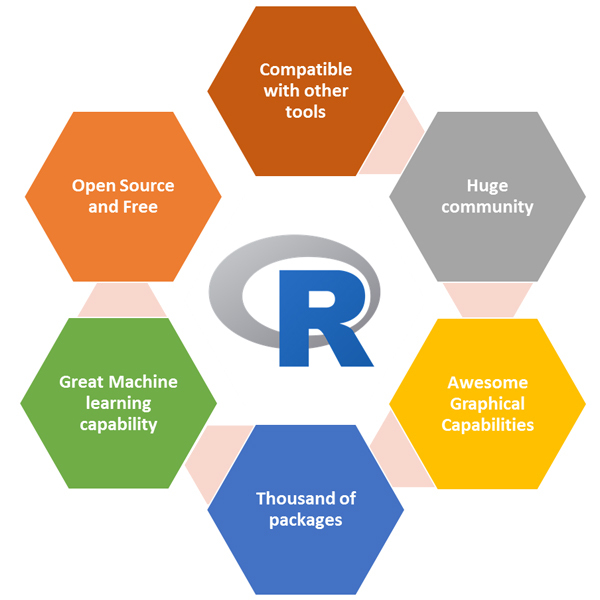 R has more than 10,000 packages that can be used from statistical analysis to deep learning to visualizations. Not aware of any statistical analyses that can be done in SAS that cannot be done in R. The opposite is more likely if anything! 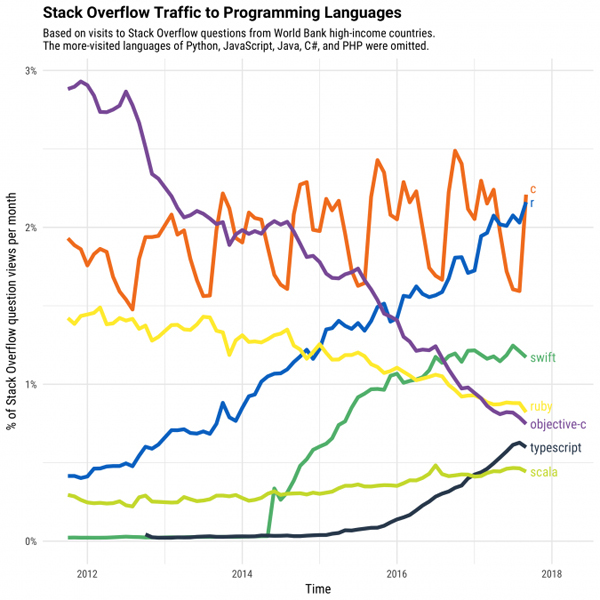 Since R is free open-source software, expecting customer support will be hard to justify. However, it has a vast online community that can help you with almost everything. There is a lot of information available in form of blogs, StackOverflow, CRAN documentation etc. Graphical capabilities or data visualization is the strongest forte of R. It has access to packages like ggplot, RGIS, Lattice, and GGVIS among others which provide superior graphical competency. For these reasons, EduPristine offers Predictive business analytics course in R which caters to different aspects of data science. It is an intensive, 100+ hour’s program curated by Industry experts for high-performing individuals who wish to master the tools of predictive analytics and give a boost to their careers. Next Why Wait for the Future, When You Can Predict It with Predictive Business Analytics?